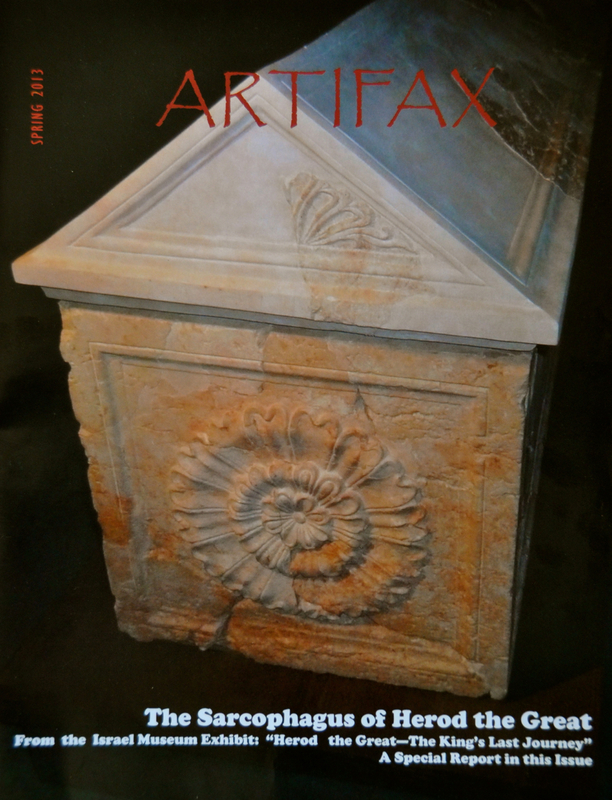 My photo graces the cover of the Spring 2013 edition of ARTIFAX magazine and the lead article, Herod’s Magnificent Obsessions, is my write-up of the Herod exhibit at the Israel Museum, with my photographs. I am a photojournalist for Popular Archaeology and articles I’ve written with my photos have appeared on their website. Two of my photos were used for the covers of recently published books, Rereading Israel and Israeli Feminism Liberating Judaism. In the summer of 2008 I had my first solo photo exhibit in Kathmandu, Nepal. I called the exhibit “From the Lowest Place on Earth” because the photos were taken near the Dead Sea and were displayed in the shadow of the highest mountain on earth. Click on the link https://israel-tourguide.info/photography/photo-exhibit/ to read my artist statement and view the photographs. An interesting article about the Dead Sea Works and Israeli landscape artist, Shlomo Aaronson’s 18km conveyor belt that crosses the South Judean Desert Nature Reserve at http://m.ammoth.us/blog/2010/02/the-dead-sea-works/ displays a photograph from the exhibit and that photo and another grace the office of the Israeli ambassador to Nepal, in Kathmandu. During the Israel Festival I took photos of Vertigo’s dance performance of Birth of the Phoenix. Different experience than shooting landscapes. Photos were picked up by Midnight East and for the 2010 Jerusalem Foundation report. One of my photos of the Bahai gardens just outside of Akko was chosen for a 2011-2012 UNESCO calendar of world religions. Biblical Archaeology Review used 2 of my photos of the mosaics at Khirbet Midras in their Sep/Oct 2011 issue.